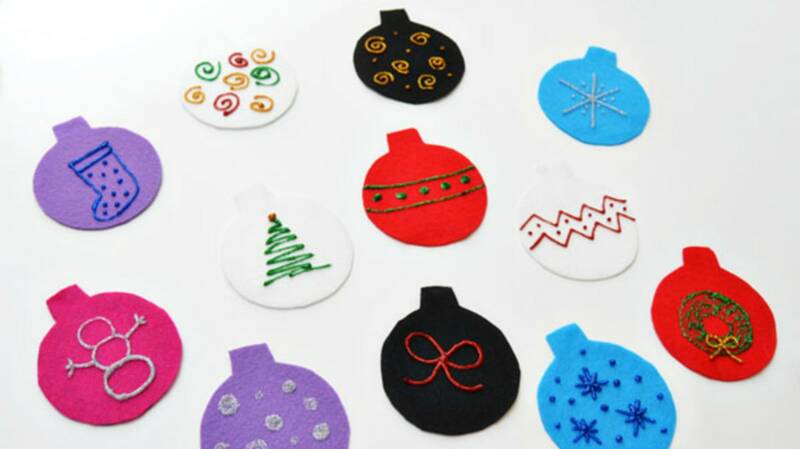 Anybody who has even walked past a craft night gathering probably has a box of felt stashed away in the closet. They might even have a glitter stick or two. Good news: That’s pretty much all you need for this simple DIY. 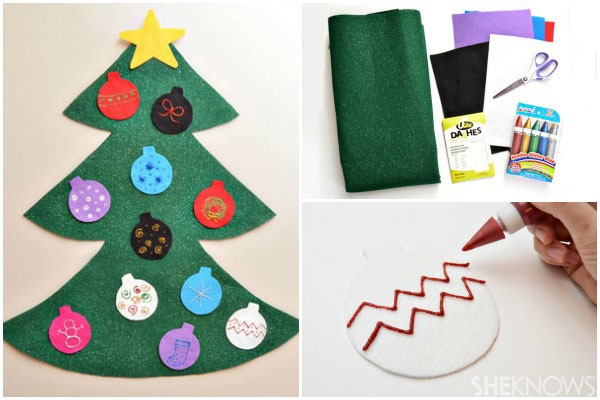 If you’re celebrating Christmas this year, make good use of your hidden craft box and have a great time with your favorite kids by making a felt tree with its own glitter ornaments. It’ll keep little hands interested and occupied — and you’ll be able to say you decorated for the holidays. Fold the green felt in half. 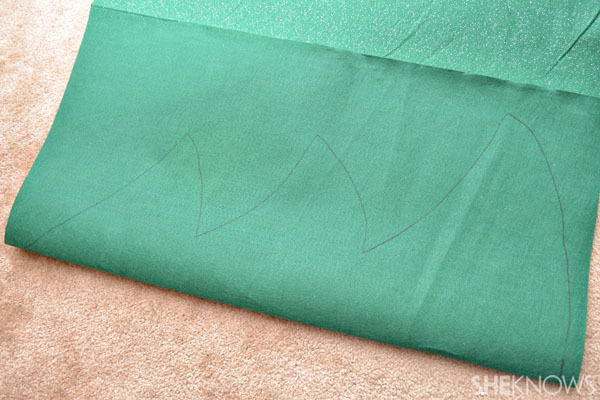 Draw the outline of the Christmas tree along the fold, then cut out the tree shape. 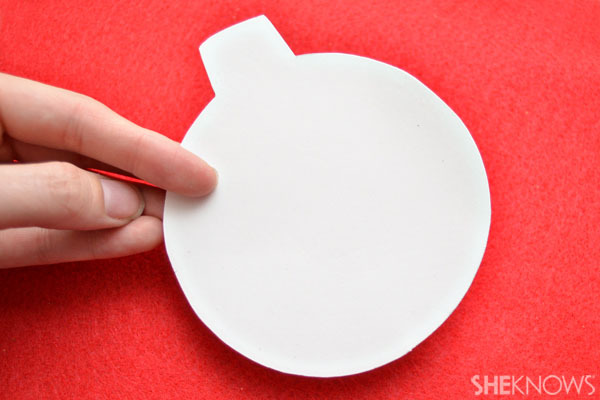 Draw the shape of an ornament on card stock, then cut it out. 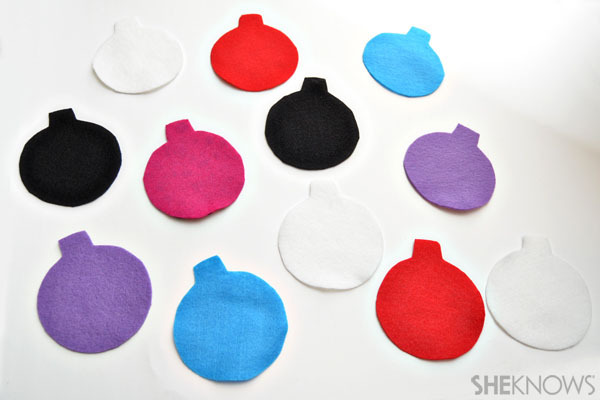 Use the card stock ornament as a template to cut ornament shapes out of the colored felt.